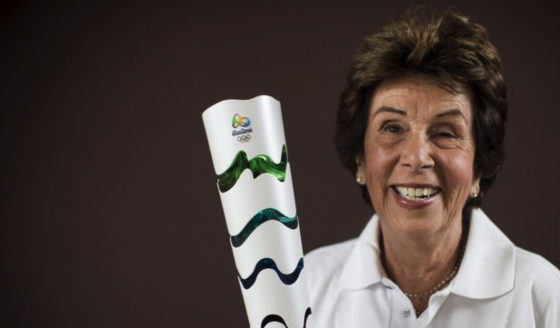 In 1960, Maria Bueno made a triumphant return to Wimbledon and retained her title when she beat South Africa’s Sandra Reynolds 8-6 6-0 in the final. By now a major celebrity, Maria was in great demand, particularly socially. She gained a certain reputation for making entrances when she arrived late for the International Club dinner and upstaged His Royal Highness Duke of Edinburgh, beside whom she had been seated as guests of honour. Despite singles losses in Australia (due to cramps in the excessive heat), Paris and the US (after the final was postponed nearly a week by Hurricane Donna), she went on to win the Grand Slam in doubles, capturing the titles in Australia, France, Wimbledon and Forest Hills with different partners – Christine Truman at Kooyong and Darlene Hard at Roland Garros, Wimbledon and Forest Hills. It was the turn of her country to go mad. 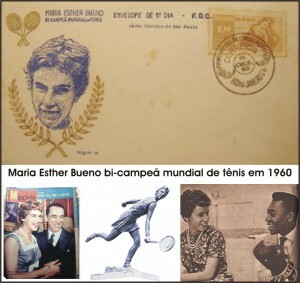 They issued a special air mail stamp bearing the words ‘campeonato mundial de tenis feminino’. On her return home she was crowned with a tiara, seated next to Brazil’s President Juscelino Kubitschek in a helicopter and taken on a triumphant flight a few yards above the heads of a crowd of several hundreds of thousands of frantically cheering partisans. 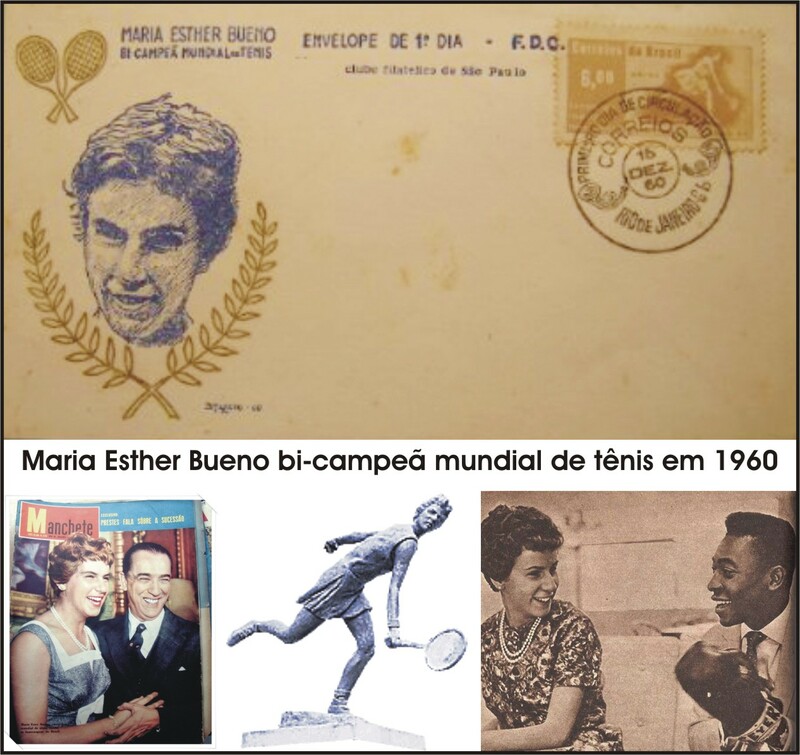 The Jockey Club gave her a car, the Tiete Club two magnificent leather bound scrap books filled with newspaper cuttings of her exploits and they also erected a 60 feet statue of her near the entrance. 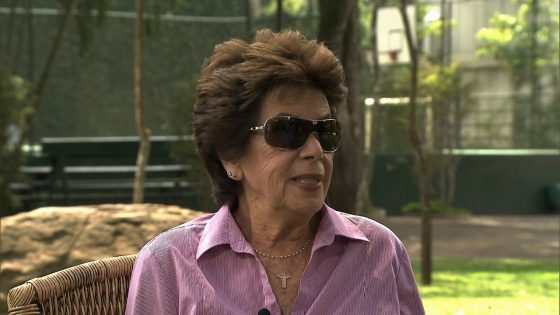 She was taken for a ‘ticker tape’ drive through the streets and they planned to rename the road in which she lived ‘Avenida Maria Esther Bueno’ until they discovered a law which forbids this until the person is dead. 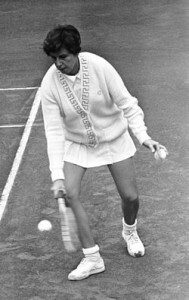 It seems Ted was set to clothe Maria at Wimbledon but when he arrived he discovered she was going to wear clothing from the same company as used by Althea Gibson. A row apparently ensued at the exclusive Lady Crossfield’s garden party on the eve of Wimbledon but all was resolved and a successful association began that was to last a decade. Always somewhat controversial, Maria and her dresses were trend-setters in the world of fashion. The introduction of shocking Italian Pink caused another stir when it appeared at Wimbledon in 1962 in the lining of Maria’s all-white dress, a shocking contrast to the grey day under which her semi-final against Vera Sukova was played on the Centre Court. The crowd gasped as Maria served, offering a brief and tantalising glimpse of the new colour. Only when she changed ends and served again did those on the far side understand what had caused the amusement. 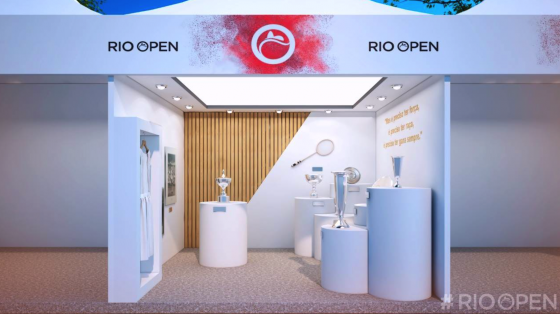 Sadly, Maria lost the match and a controversy arose over the distractions created by fashion. 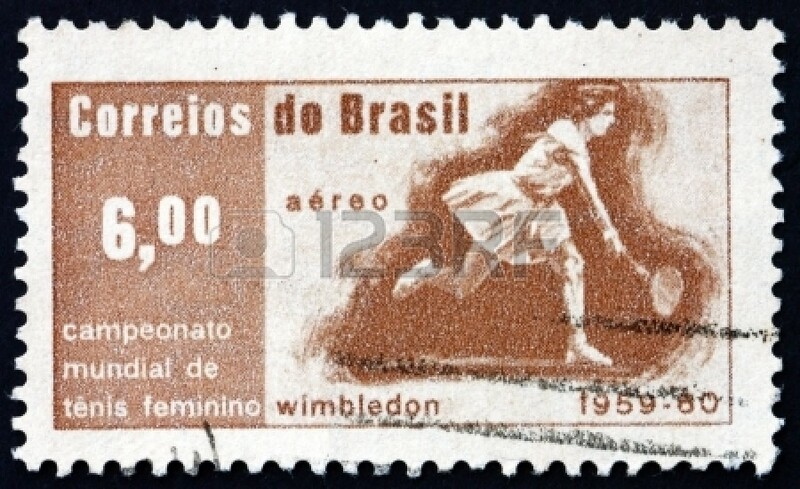 John Barrett describes in his book 100 Wimbledon Championships:- “Shown off to perfection in some stunning Tinling creations, Maria captivated the knowledgeable Wimbledon crowd until, towards the end of her reign, she appeared on Court No 1 wearing, beneath another pretty white dress, a pair of pants in navy blue with turquoise panels that matched the coloured panels of her under-skirt. The next year, Wimbledon introduced a stricter predominantly white clothing rule. Sadly, not everything was to go smoothly for Maria. At the height of her career she was troubled by illness and injury. In 1961 she arrived in Paris feverish and feeling tired. The trouble was not immediately diagnosed and she was allowed to go on exercising for a couple of hours a day. Her condition worsened, the illness turned out to be hepatitis and upon her return home to Brazil she was confined to bed for eight months, during which her weight dropped by 24 lbs. Already slender, she sank below eight stones and looked just skin and bone. Her recovery was to prove slow but nevertheless certain and by February 1962, Maria had her sights set, once again,on Wimbledon. It was an anxious and worrying time for her as she struggled to regain her fitness and form. 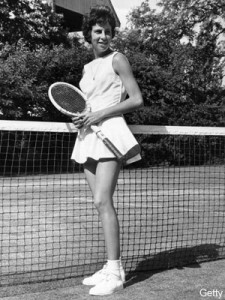 Major titles were to prove elusive that year, with Maria losing to Margaret Smith in the Italian finals after a thrilling match that showed her to be capable of her best, then falling to the clever Czech housewife, Vera Sukova at Wimbledon and again to Margaret at Forest Hills, both at the semi-final stages. A year later, however, Maria won again at Forest Hills, beating Margaret 7-5 6-4 to prove she really was back at her very best. In both 1962 and 1963 she finished second in the world top ten ranking behind only Margaret Smith. 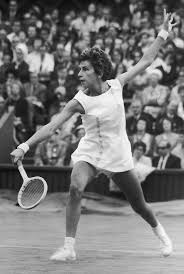 1964 was a procession of triumph, with the Wimbledon and American singles titles offsetting a loss to Margaret in the French final and in December she was rewarded with the world’s number one ranking again, a status she had not enjoyed since 1959 and 1960. 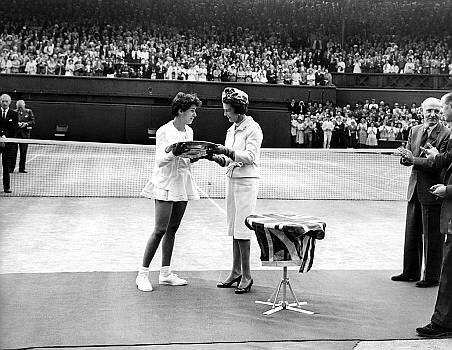 That 1964 final was the high point of Maria’s career. Not only had she overcome a terribly debilitating illness but she had produced one of the best, if not the very best, performance of her life against her most worthiest of opponents. The match has since become a Wimbledon classic. And it was truly a personal triumph.